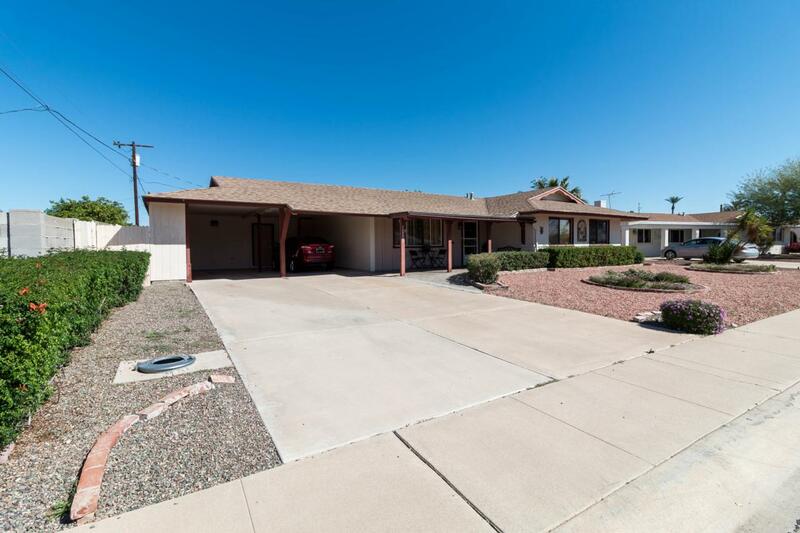 Adorable Sun City retirement community home that has been meticulously cared for. Quiet neighborhood w/north/south exposure. Recently updated kitchen cabinets, oven/range, interior paint, tile floors throughout, & gravel landscaping in front yard. All plumbing has been replaced & updated and includes 25 yr transferable warranty. Trane AC is approx. 5 yrs old, master bedroom w/walk in closet, skylights for natural light, large mud/laundry room, extra storage, and spacious backyard w/grassy area, citrus tree, and covered patio. Close proximity to restaurants, grocery stores, & freeways. Security system does not convey.